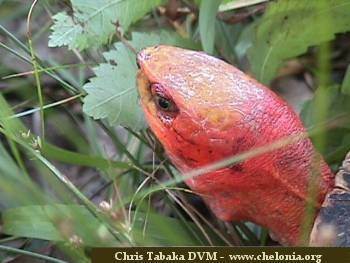 This intergrade of Cuora galbinifrons galbinifrons and Cuora galbinifrons picturata is thought to be found in mid-Vietnam between the northern range of the Cuora galbinifrons galbinifrons and the Southern range of the Cuora galbinifrons picturatas. 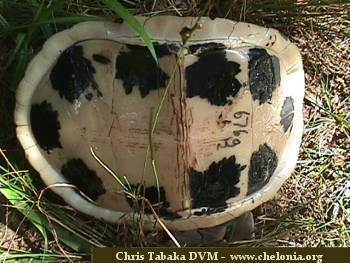 The latest Ask the Vet column in the World Chelonian Trust print newsletter (August, 2002) contains a medical column on the most commonly faced problems and solutions in this species. 1. This intergrade is one of the more difficult animals to differentiate from the others. 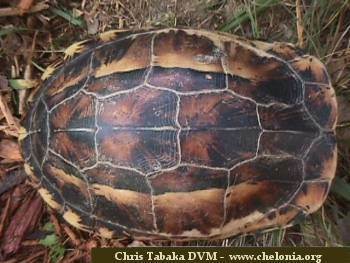 Shown below are some plastron pictures. 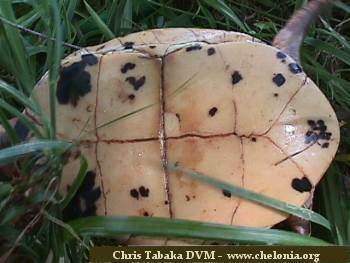 The spots are not as large as Cuora galbinifrons picturata and are more focal and condensed in nature. They do not have the straight black plastrons of Cuora galbinifrons galbinifrons. 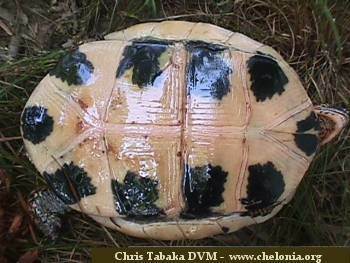 The blotches on the plastron will lose much of their dark coloration in ancient specimens giving more a speckled appearance as seen below. 2. 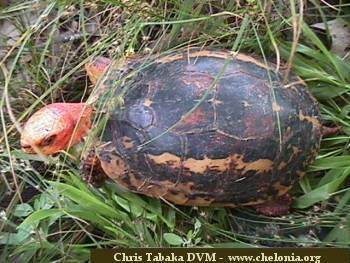 While their profile is not as tall as the Cuora galbinifrons picturata, it is definitely more pronounced than the Cuora galbinifrons galbinifrons. 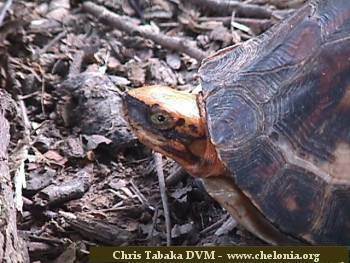 They also are lengthier than Cuora galbinifrons picturata though not as long as the Cuora galbinifrons galbinifrons. 3. Perhaps the best way to differentiate this subspecies is via their facial features. Some typical adults are seen below. Ancient animals can have a different appearance to their heads as seen below. 4. 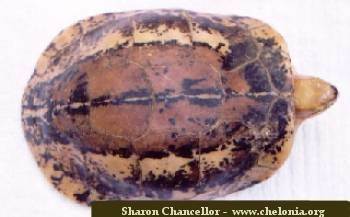 The carapace also has a characteristic appearance. The center line is dark orange/black/red in coloration with a creamy line running just below that. 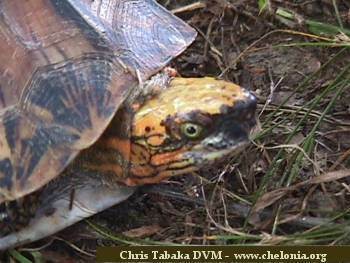 While another distinguishing characteristic, it tends to be the least reliable in terms of differentiating the subspecies. 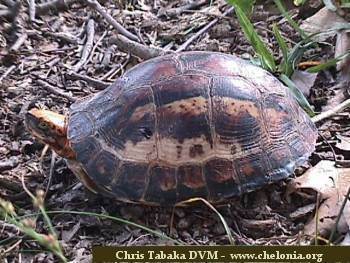 If the above is insufficient for you to identify your Cuora galbinifrons subspecies please feel free to send a digital picture of your animal to Chris Tabaka DVM at zoovets@chelonia.org or Sharon Chancellor at SharonChancellor@chelonia.org for assistance.